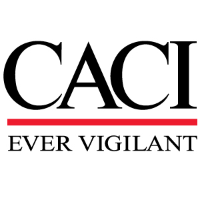 CACI is seeking a cleared Mechanical Engineer who will work as part of a team of Mechanical Engineers, Systems Engineers, Hardware Technicians, and Field Service Technicians and Subject Matter Experts. There will be a lot of opportunities to learn and perform in the team environment to support US Army’s Quick Reaction Capability at Glen Burnie, MD. Work with a diverse set of contractors and customer personnel using strong interpersonal skills to contribute to the assessment, integration, testing and fielding of wide raging technologies, and advanced concepts. Track, manage, and resolve technical issues. Translate customer’s requirement to working concepts and designs, brief status and demos to government and community stakeholders, and provide technical recommendations. Self-starter, facilitate the whole design cycle, source and manage vendors for required fabricated and shelf parts to assemble, and testing of first article to integration and installation guide. Active Secret and TS/SCI must be obtainable. Typically requires 5-7 years of experience in mechanical projects of medium complexity. Requires a Bachelor degree in Mechanical Engineer from an accredited university. Knowledge and experience using SolidWorks design environment. Experience conducting rapid trade studies and analysis of mechanical solutions. Demonstrated ability to establish effective customer relationships. Demonstrated ability to develop and present effective technical presentations to management. Strong interpersonal, problem solving, organizational and multi-tasking skills. Strong working knowledge of SolidWorks Design Environment and PDM.